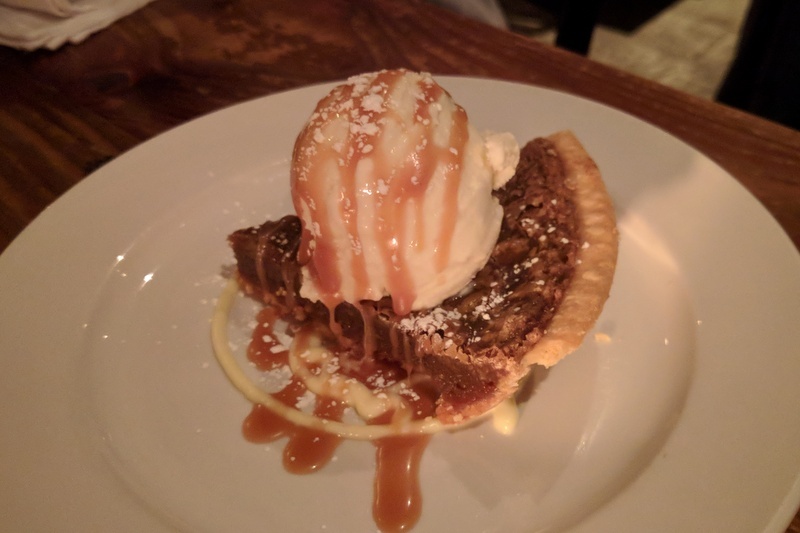 When I visited Canada, I tried a traditional Canadian dessert: sugar pie. I’d never heard of it before. I love the coloring of the deep brown in this dessert. It reminds me of fall and leaves fluttering off trees. The sugar pie lives up to its name. I hear it can be made from brown sugar or maple syrup. (You can try one version of the recipe here.) Warning: This dessert is super sweet! The sugar overload on my taste buds prevented me from eating more than a few bites. It’s got a flavor reminiscent of pecan pie. Maybe that’s due to a similar caramelization process? Fun fact: It’s also known as tarte au sucre, especially in Quebec. I know what you mean about sweetness and also for comparing this pie to the American pecan pie. I had tarte au sucre in Quebec and loved it, but because it’s really sweet, I would only eat a thin slice at a time. But it’s yummy with coffee! Yes, I imagine it’d go well with coffee. The bitterness would really complement the sweetness of the dessert.